© Contiki, YouTube, Retrieved from YouTube on October 10 2016. Contiki uses social media in an interesting way that many traditional organizations would not think of doing. Instead of using their social media to actively advertise their trips, Contiki uses their presence to create a community, and keep their customers engaged. Using their Facebook page, Contiki shares valuable information that provides would-be travellers with great tips. Posts such as “Wireless passwords from airports around the world” or “How to save money for travel” provide customers with great information, that stimulates online conversation, as well as generates some good-will for the organization. Previous customers as well as potential new ones will see these posts and keep the source in their minds. When they’ve finally been inspired enough to take action and book a trip, Contiki has positioned themselves to be the first company this traveller will think about. We love running contests on social media, and whether they’re on a global scale or just for Canadians we try to give away trips and awesome travel swag as much as we can throughout the year. We do a lot of ‘like and comment to win’ entries as well as travel photo submissions across Facebook, Instagram and Twitter. Giving away prizes to our followers is one of our favorite parts about our job! This shows Contiki’s commitment to providing contests for not just new customers, but old ones as well. Submitting photos taken on previous adventures, allows old customers to potentially win a great prize, but also gives them a chance to showcase their work. 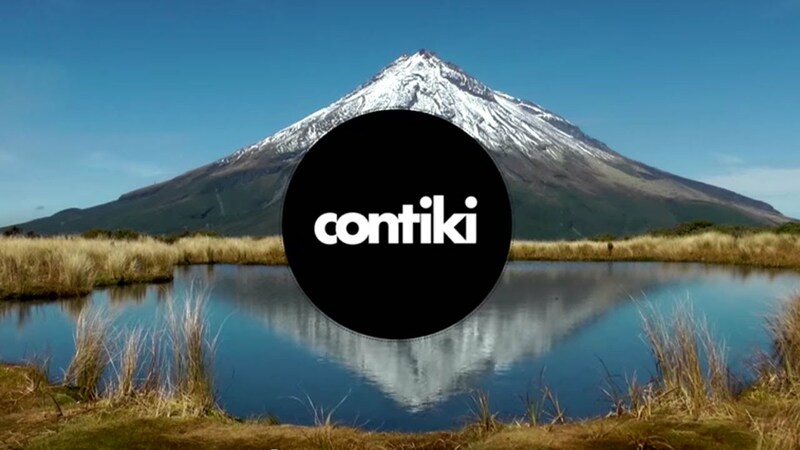 Contiki gives content creators a great platform to showcase their work. When customers go on their trip, they often capture tons of beautiful images and create amazing videos. Contiki understands that these creators are looking for a platform to show their work and will regularly share the content with their subscribers. Having a big company share their art to the masses will create a good feeling for the customer and will forge a lasting relationship with the company. When content creators have a platform to showcase their material, they will be more likely to create. Customers will share pictures, video, and stories of their adventure with their personal social media network which will expose Contiki to a wide range of people who have never heard of thecompany. Justin Tilley, an Australian YouTube travel vlogger used his excellent filmmaking skills to create an advertisement for Contiki, purely to document his own experience. Pieces such as this are incredibly valuable to travel companies, as a content creator’s viewers will trust their opinions on a service much more than traditional advertising. This is called word of mouth advertising and by using social media to keep their customers engaged, Contiki has positioned themselves to have their own customers sell their service. A brief interview was conducted with Contiki representative Shelly Scott, to better understand the companies position on customer engagement. Contiki uses a variety of social media hashtags to increase post engagement on social media, but what are some other ways that Contiki tries to keep users of their service engaged with the company? Our email database is very important to us, and we try to communicate fun messages to our subscribers pretty consistently. We love to reunite with our passengers through local events and parties, and we’re also focused on establishing a strong presence on school campuses as well with pub nights and booths. Running events like our Campus Invasions are great ways for us to meet past, and new travelers. Talking and meeting people on an in-person basis is always so much better than just through email or online. Contiki seems to want their customers to tell their story via social media. Was this a conscious effort to increase word of mouth advertisement? There can be a lot of misconceptions about what it’s like to travel with a group, so we found that sharing the experiences of our travelers was a great way to show people what Contiki is really like in an authentic and honest way. Our travelers are already creating so much amazing trip content, so it only makes sense to share it with the world and inspire others to travel as well. I’ve always found it easier to understand a product or anything for that matter, through other’s personal experiences. Travel is no exception to that. What better way to get to know each other than by our experiences? Contiki is a very consumer friendly company, that tries to help its customer’s even after they’ve gotten off the plane at home. This good nature is a great strength of their business as it will encourage customers to share their positive experiences with friends and family. Looking at how Contiki runs their business we can learn a few valuable lessons. Using social media, Contiki has built a community that brings in many new followers, but also keeps old customers engaged. They maintain a platform where they run contests, give valuable travel tips, and allow customers to share their adventures with the world. Using these techniques an organization can provide value to customers outside of the main service they provide. Doing these things keep the business in the eye of old customers and new ones alike at all times.